A visionary approach to financial accounting could inject the values of fairness and sustainability into standard business practice. Not quite three years ago, standing in an ornate hall of St. James’s Palace in London, Charles, Prince of Wales, laid out his belief that accounting can change the world. A longtime environmentalist, he told hundreds of politely seated leaders that annual reports were “not providing the information we need to tackle the major issues confronting the world economy today”: everything from an increasing global population to the overconsumption of finite natural resources, from pollution to climate change. Prince Charles knew that corporations had been expanding their efforts to measure and disclose their impacts through sustainability reports. The problem was that companies were far more concerned with their financial reports, which had little connection to their social and environmental counterparts. The time had come, he argued, for the institutions that governed these respective efforts to seek common ground through a new initiative known as the International Integrated Reporting Council (IIRC), whose purpose would be to lay out the principles through which sustainability and finance could be combined. Many powerful organizations convened to support the effort, including the world’s largest accounting firms and associations; major nongovernmental organizations such as the World Wildlife Fund, Ceres and Transparency International; financial institutions, stock exchanges and reinsurers; and a smattering of corporate titans such as Microsoft and Nestle. A steering committee began meeting twice a year to set policy, and a working group was handed the complex task of defining the purposes businesses should serve and the measurements they should use. At the heart of the debate was a simple but polarizing question: Was the goal to adjust financial accounting to serve the needs and limits of sustainability, or to extract lessons from sustainability to make more money for shareholders? Prince Charles had been blunt about his preference for the former. But some committee members worried that if the IIRC appeared too radical—if it deviated too far from the complacent assumptions of the demigods in the financial markets—the whole venture would collapse. As the co-founder and former chair of the Global Reporting Initiative, the leading international reporting standard for environmental, economic and social sustainability, I found myself on the working group. Despite my respect for everyone involved, I regularly considered walking away from the whole project. But I did not do so for three reasons. First, the number of progressive voices was already dispiritingly small. Second, American participation was tenuous. And third, the experiment yielded a surprisingly positive outcome. On April 16 the committee released a document whose model of capitalism holds the potential to revolutionize business. Borrowing from policy documents that typically apply to nation-states, extracting core lessons from ecological economics and moving the debate toward concepts already common in worldwide discussions of the “new economy,” the guidelines propose that business should no longer be considered exclusively—or even primarily—as a mechanism through which to pool, invest and increase financial capital. The purpose of business, the draft document argues, is the creation of value through the transformation of multiple forms of capital. The heart of the document is a diagram the committee affectionately referred to as the “octopus.” On the left are six forms of capital that businesses can tap: financial, manufactured, intellectual, human, social and natural. On the right are the outcomes that enhance or deplete the capitals from which they draw. A company that exploits its workers, for example, is drawing down its human capital while boosting financial capital. But a company that trains its workers and improves their working conditions can increase both financial and human capital. As a definition of business, this is a breakthrough. Before, because of the perverse assumptions and omissions of traditional economics, the value of everything could be determined by its original cost or its market price. A company’s worth could be calculated by adding up the cost of all the land and equipment it owned, or by the revenues it earned, discounted over time. But over the past few decades corporate balance sheets have started to break down as the value of many companies has shifted to nonmaterial assets like intellectual capital or brands. Repeated financial collapses, combined with bleak social and environmental impacts, have revealed the traditional model of “single-source capitalism” to be profoundly broken. The IIRC is now quietly proposing that it be replaced. Though conceptually innovative, the IIRC draft retains its core caution. The guidelines are “principles based,” meaning they are not making specific recommendations on forms of measurement, through which the trade-offs between capitals could be gauged. There is no discussion of when or how integrated reporting would ever become mandatory. The creation of value is still assumed to be something that the company largely does for itself, rather than for society. The pre-eminence accorded to investors continues to tilt the model toward the old paradigm, muting the transformative effect of the document. Despite its limitations, the IIRC draft is laying out a pathway that could give the concept of “multi-source capitalism” real power. If its ideas take hold, accounting research, teaching and scholarship will have to change. Unfortunately, most Americans, especially in key communities, are not aware that this daring proposal even exists. The time to react to it is ticking by. On July 15, at the end of a ninety-day comment period, the IIRC will gather up the reactions it has received and begin to revise the guidelines for publication in December. For Americans who are fed up with our broken system, the IIRC draft presents both a danger and an opportunity. The danger would come by missing the chance to critique and endorse these significant changes. If American progressives remain silent, the highly paid and hyperattentive beneficiaries of the old system will flood the IIRC with cautions, criticisms and outright attempts to stop the effort in its tracks. The opportunity, however, is immense. 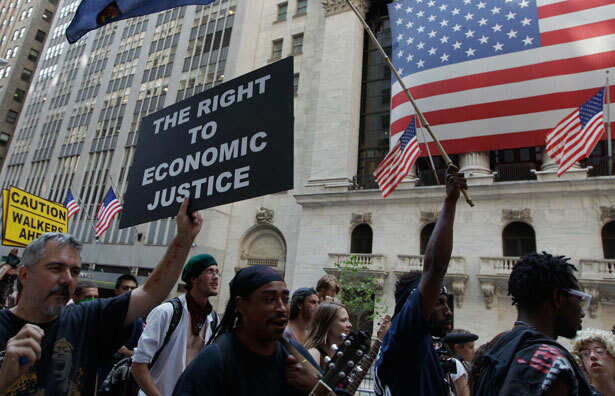 Across the United States and around the world, activists, theorists and policy-makers are struggling to understand and articulate the rules and behaviors of a “new economy” that seeks prosperity while acknowledging the severity of planetary limits, inequality and climate change. Central to this movement is the renewed debate over the purpose of business at all scales, from small business to the regional firm to the global multinational. The IIRC’s willingness to raise the core question of “multisource capitalism” is a necessary piece of this structural reconsideration. On its own, the IIRC will never become a ferocious advocate for change, willing to storm the ramparts of all who benefit from the excesses of single-source capitalism. But with the timely support of Americans who have concluded that structural change is urgently needed, those advocating for a more responsible and sustainable model may yet hold their ground. As the Prince of Wales knows from his forebears, sometimes holding one’s ground at a critical moment in a battle is all that is needed to win—and thus to change the course of history. Is immigration reform a reason to scrap the debt ceiling deal? Read George Zornick’s argument here.